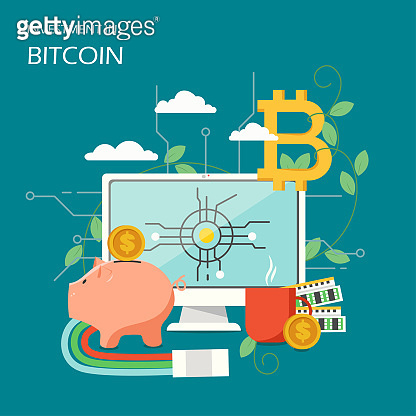 Investment in bitcoin concept vector illustration. Bitcoin symbol, desktop computer, piggy bank, dollar coins. Investing in digital currency cryptocurrency poster, banner.